I started this series (Steps to Clear Skin) on my blog almost 1 year ago and I think it is time to sum it up as my skin it's pretty much clear now and I focus more on maintaining and treating the acne scars I have left. Today I will share my acne journey with you and I will tell you about my acne treatment, what home remedies for acne I used as well as what face masks available on the market I used and had results with. In the end I will tell you a little bit what I do now to prevent acne and how I treat acne scars. I will first show you how my skin transformed during the last year! Please keep in mind that I didn't really plan this post and these pictures are what I could find in my computer, so I don't have my best pose in them/ I can look pretty odd. During my high school years I didn't have particularly acne prone skin - I was getting one or two odd pimples around my period, but that was all. 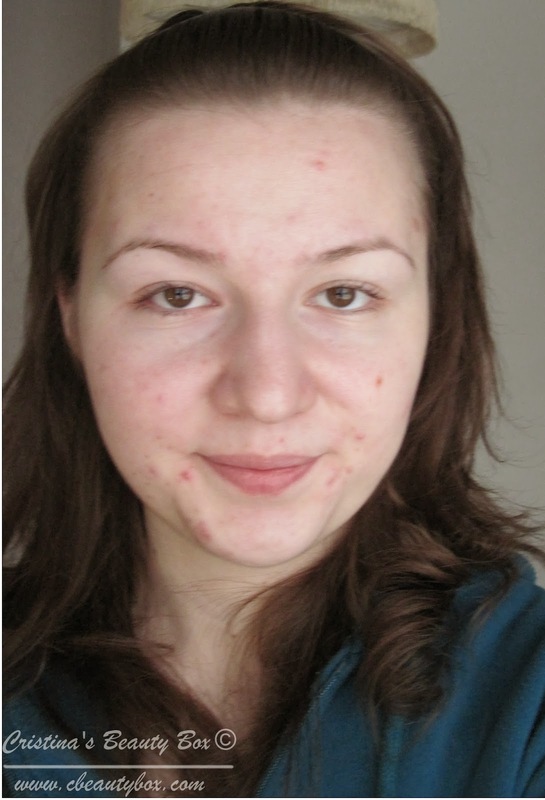 After high school I moved to Finland for university and I can't say my skin suddenly became prone to acne, but it definitely became more sensitive and reactive. Almost to the end of 2012 I decided to try a "high end" foundation and that totally ruined my skin. I started to get all sorts of "foreign objects" - comedones (blackheads and whiteheads), papules (pinheads), nodules (large papules), pimples - on my face and you can imagine my shock. I didn't think for 1 second that my new "fancy" foundation was causing the change so I continued using it. Luckily for me, in the middle of December I went for holidays in Romania and the first thing I did was to see a dermatologist. After analyzing the situation of my skin, she considered that just some topical treatment (4% benzoyl peroxide) will do the job and she also suggested to stop using any new skincare product or makeup which I started to use around the time my skin changed. For some reason, that foundation again didn't cross my mind and I kept using it. After a week or two, I was talking with my mom about my skin and what the dermatologist said and she remembered me that I started to use that foundation around the time my skin problems started. So I stopped using it and here is where my steps to clear skin started. Now that I got that story said, let me show you my skin over the past wear as well as how I treated my acne. Please click on the pictures so you will see my skin in all its glory! 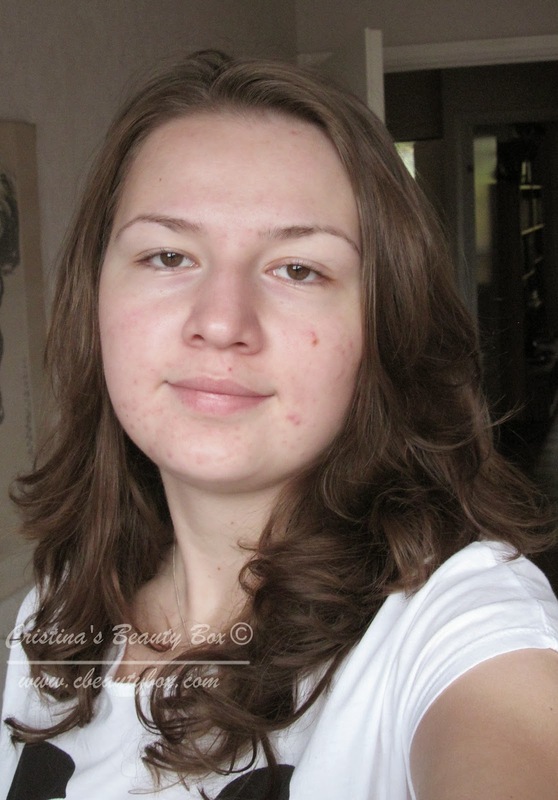 February 2013 - My skin wasn't on it's worst because I was already using a topical acne treatment. My skin was at its worst during December-January, but I don't have any pictures from that period. March 2013 - My skin was already getting better, it was still irritated and swallow but the topical treatment started to work. September 2013 - Long time without bare face pictures... Meanwhile I changed my acne treatment after another visit to dermatologist. After a few month of using benzoyl peroxide, it stopped working for me, so she recommended MASKrym which has to active ingredients - a antibiotic and something else that I don't really know what it is. I started using the new treatment in mid August. Also, I grew up my bangs/fringe and my forehead cleared up. 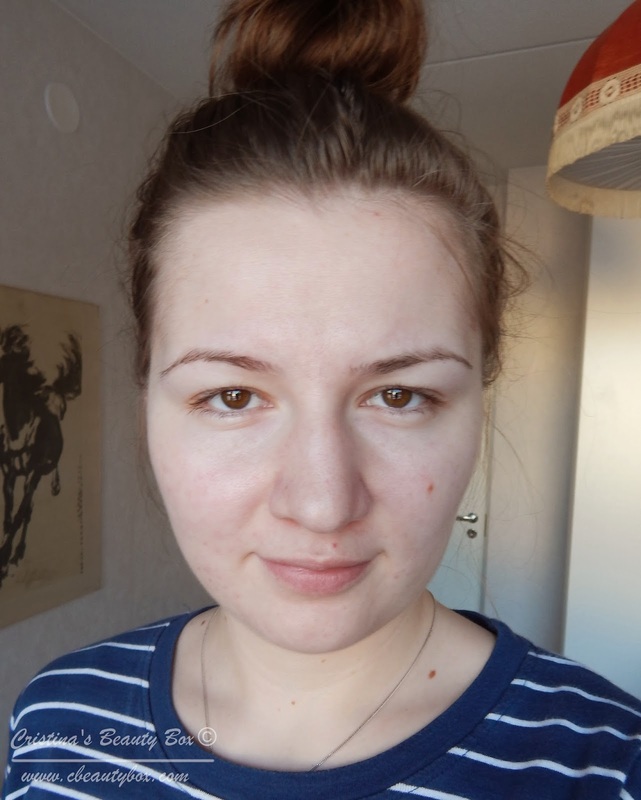 February 2014 - My skin is pretty much clear, but I do have some acne scaring/ hyper pigmentation. I kept using my topical treatment till end of December and that I took a break for a little over one month. Now I am back at using it just as a prevention method, so not everyday. GO TO DERMATOLOGIST! - I can't stress enough how important this is! If your skin is in really bad condition, you won't manage to clear it up by yourself, without any professional advice. Don't just go to dermatologist, but talk to her/him! - When I first went to dermatologist I was a little bit shy to start a conversation about what skincare I was using at that moment, but second time I shoved that away and we talked on what can I do to improve my skin care routine and also if I should add/replace some items. Research on any new product you are applying to your face. - I always like to check the ingredients in new skincare items and face makeup I am thinking to buy. A lot of products would have written on them non-comedogenic(=won't clog pore/won't cause acne), but they have a bunch of irritants in them, so I like to check them on cosdna.com. By doing so not only I diminish the risk of buying something that will cause me to break out, but in case I make the mistake, at least I can see what ingredient might have caused my reaction. Have a well established skincare routine. - It doesn't need to be something too complicated and you definitely don't need to use 100 items, but you need to find out what it works for you. My skincare routine incorporated the products I am using at the moment for a long time, but in addition to this I might had been using some others who weren't so good for me. I found out what works for me and I came up with this. In addition to your daily skin care, use face masks(either DIY or from shop) - My favorite "store" ones are: Queen Helen Mint Julep Mask, Montagne Jeunesse Blemish Mud and Montagne Jeunesse Mud Pac. Try home remedies for acne. - Most of the times we are looking for help in the wrong places, sometimes we just need to seek close. During my blogging time I posted do DIY face masks to treat acne: clay mask and honey and cinnamon mask. In addition to that, you can try to use tea tree oil as a topical treatment (for me it didn't work, but don't forget that it's all about finding out what it works for you). When you finally cleared up your skin, focus on maintaining what you achieved. - As I said, my skin is pretty much clear, so now I just use my topical treatment from time to time to maintain the state of my skin or to treat any pimple that might appear in that period of the month. Read my long, but probably useful post about how you can change things from inside out and also some practical things you can change and they will help improve your skin condition. What I do now to prevent acne and how I treat acne scarring? to prevent: I still use my topical treatment from time to time; I do a face mask at least once a week; I check the ingredients of any new product I plan to put on my skin; I try to keep a balanced diet and get as much sleep as I can. to treat acne scarring: I introduced into my skincare routine the L'Oreal Skin Perfection Advanced Correcting Serum (I believe in USA is called L'Oreal Youth Code Texture Perfector Serum); I use grape seed oil as a night time serum/moisturizer at least once a week (Grape seed oil has high levels of vitamin C and antioxidants that help improving your skin texture and even out your skin tone. It is light weight so most probably won't clog your pores - it didn't clog mine). In addition to all what I said in this post, I really recommend reading my other post with tips on helping out your skin, because I still stand by what I said on that time and those things had a huge role on clearing up my skin. don't let acne affect your confidence! don't cake on makeup - foundation is made to even out your skin tone, use concealer to spot conceal. clean your face twice per day and don't be lazy with your skincare routine! 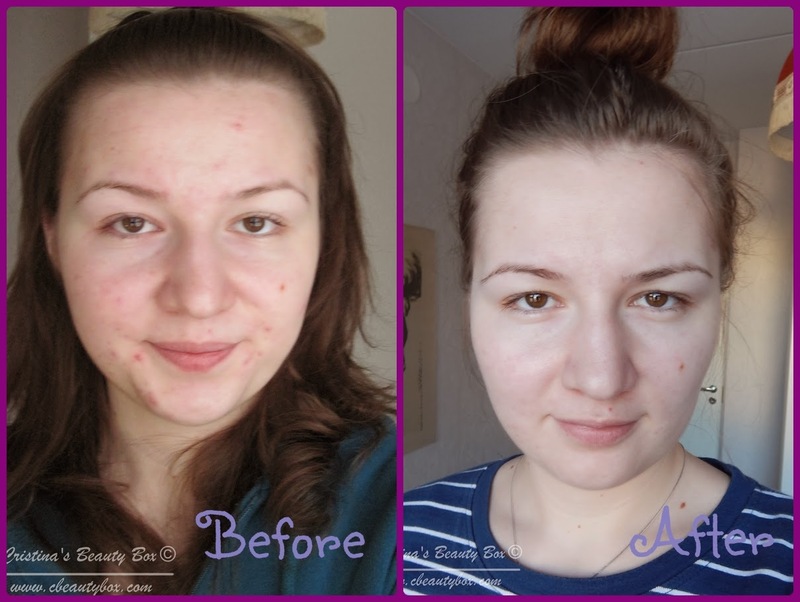 This is my experience with acne and my acne journey! Did/Do you suffer from acne? How did/do you take care of your skin? Your skin has cleared up so much! Thanks for sharing. You are welcome :) I hope your skin will clear up also! Hi Christina, thanks for sharing. I am in my mid 20s and my skin is worst than it was before. I'm addicted to trying skin care which is probably a huge contributing factor as my skin is always dealing with some new I'm testing. I think I need to find some good products and a good regime and stick to it for awhile. Extreme skin inflammation won't not be effectively treated with normal fixings,accutane alternative since they require more grounded fixings that specifically go for decreasing skin inflammation.